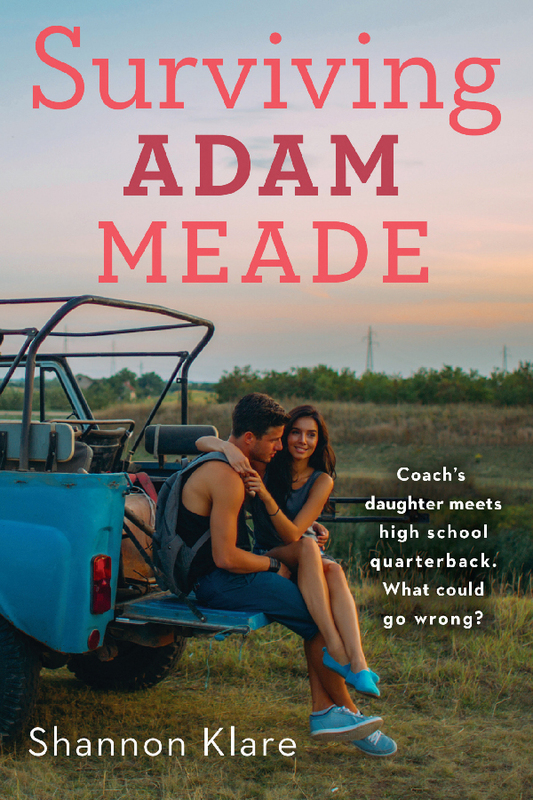 I’m excited to kick off the Surviving Adam Meade blog tour with an interview with the author herself! What was your inspiration for writing Surviving Adam Meade? Surviving Adam Meade was inspired by my high school, family, and life experiences. Growing up, my dad worked a job where he was transferred quite a bit. When I was a teenager, he was transferred to a small town near Lubbock, TX. The town was exactly like Pader. Tiny. Everyone was born and raised there. Football was huge. After making great friends, I grew to love the town and the people. So, when I started writing Surviving Adam Meade, I knew I wanted to incorporate those elements and I knew I wanted Claire to have the same experiences. The story developed from there, but I added events from my college years as well. It’s kind of a modge-podge of life experiences. Tell us a bit about your main characters. What parts do you relate to in Claire and Adam? Having moved a lot as a kid, I could relate to Claire’s hesitation in making friends. It isn’t easy to get attached to people when you don’t know how long it will last. We also have the same sarcasm and family dynamics. My little brother is literally one of my best friends, so Claire’s relationship with Case was super relatable in that sense. Adam was harder to relate to at first. I don’t want to give away much, but his back story (particularly the part involving Wanda and her situation) was something I personally went through in high school and college. The stress, added to everything else, I could understand. It made him less cold. More human. I love the Swoon Reads imprint and how readers help choose the manuscripts. Why did you submit your novel to the site? Prior to submitting to Swoon Reads, I was on a different writing website. I started to notice some of those authors getting publishing deals with Swoon Reads and thought it might be worth a try to submit my manuscript. So I did. Best writing decision I’ve ever made. What’s your advice for other writers looking to submit their work to Swoon Reads? Be open to comments and critiques. When you put up a manuscript you expect and hope it will be well received. That isn’t always the case. People will give you advice. You’ll get comments, some nice and some not. Be receptive. Listen to the feedback and use it to make your writing stronger. Lastly, is there anything you can tell us about your next writing project? I am so excited for this book. I didn’t get to read the manuscript when it was on Swoonreads, but I can’t wait to read it now. Yay! I’m glad you get to read it now! I hope you love it—the cover is gorgeous and I love the Friday Night Lights feel the synopsis has! Of course! I loved reading Shannon’s answers to my questions! I’ve been wanting to read this book since i first read about it. The premise sounds fun and the characters sound like ones I can’t wait to get to know. I hope you love it! I love the Friday Night Lights vibe that it gives!! I knew I wanted to read Surviving Adam Meade the moment I read the synopsis, because it reminded me of one of my favorite TV shows, Friday Night Lights. Swoon Reads is awesome! I love how it lets readers get involved, and has given many authors (who might never have been heard) a chance. I love Friday Night Lights, too, which is why I wanted to read this one so badly!